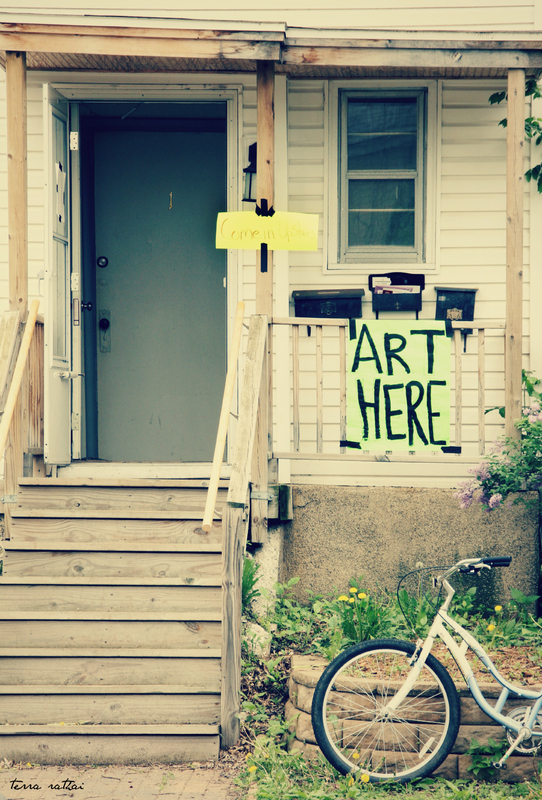 One of our favorite things to do each May is visit Art-a-Whirl in our old Northeast Minneapolis neighborhood. This open studio tour is now the largest of its kind in the country and grows every year. The addition of food trucks, new breweries, and live music in recent years make it all the more festive. 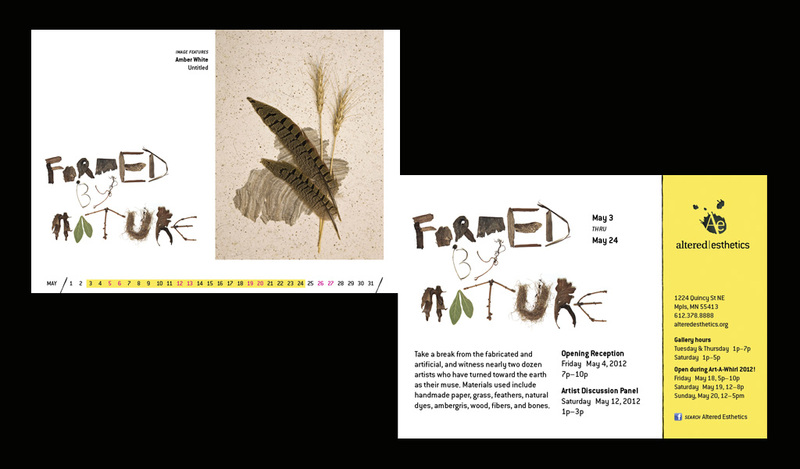 I’m excited to announce the first of several group exhibitions I’ll be part of in the coming months: Formed by Nature. The show was curated by Altered Esthetics, a non-profit community art gallery located in the Q.Arma Building in Northeast Minneapolis. The show features artwork using natural materials or expressing “an unprocessed experience of the natural world”. 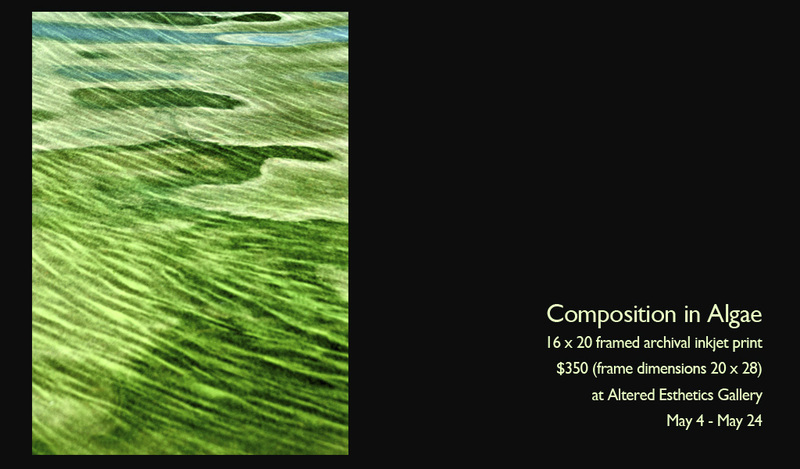 My submission (see below) is an abstract composition formed by natural processes: an invasion of silty-green algae arranged by wind and water. The image was featured in this blog post during the 365 project. Altered Esthetics will be open throughout Art-a-Whirl, the popular Northeast Minneapolis art festival and open studio tour.